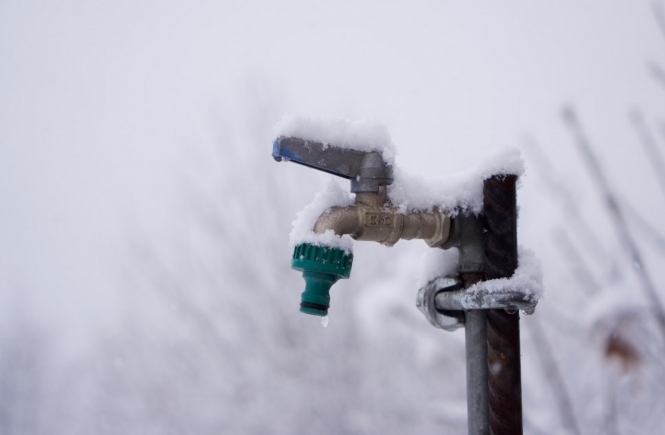 Water pipes are especially susceptible to problems during this blast of very cold weather, and owners and tenants should be alert to potential issues, warns water and utilities group Veolia today. Ice expansion followed by the inevitable thaw can cause pipes to become blocked or even to burst, while normally-dry areas may be at risk of flooding. And, as insurance claims for cold weather problems tend to spike at this time of year, taking some time to protect your property could spare you from bigger bills and repair costs in future. Homeowners and residents can take simple steps to protect their system, including using a normal hairdryer or a hot water bottle wrapped in a towel, to warm up pipes that you suspect may be frozen (never use an open flame for this). You can also try leaving your taps on, allowing a very small amount of water to run through the system several times a day, to keep things moving and avoid giving the water chance to freeze. The cost of this extra water is likely to be less than that of repairing the entire system in the event of damage, Veolia explains. Any completely blocked pipes should have their water turned off at the source, to prevent any flooding or backwash once the ice thaws. Water meters - the responsibility of the resident, whether owner or tenant - should be checked regularly to ensure they are still working properly. Meters and pipes in cold areas of the house - such as in a cellar, garage or even outside - could be protected with an insulating material such as polystyrene, or another option recommended by your local hardware shop. Potentially flammable materials, such as straw, fabric, paper or wool, should not be used. If your meter appears to be broken or behaving unusually, it could be the sign of a problem in the system, such as a blockage or leak. The cost of any repairs usually falls to the resident in this case, warns Veolia. If you are planning to go away for a while, you are advised to turn the water off at the source and turn your taps on briefly just before you leave. This will allow any water still in the pipes to run out instead of freezing. If you have a draining valve on your meter - between the meter and your home’s interior taps - you should also turn that on until the water no longer comes out, before closing it again just before you leave. You are also advised to leave any central heating on at a lower level than normal - around 12-15°C - even if you are not planning to be at home at all, to protect your pipes from the cold while you are away.